Stock # T122786, 6.7L I6 Cummins Turbo Diesel Engine, Automatic, 46143 mi. Contact Ed Payne Motors today for information on dozens of vehicles like this 2014 Ram 2500 Laramie. Outstanding craftsmanship and artisanal refinements abound with this Ram 2500 Laramie. 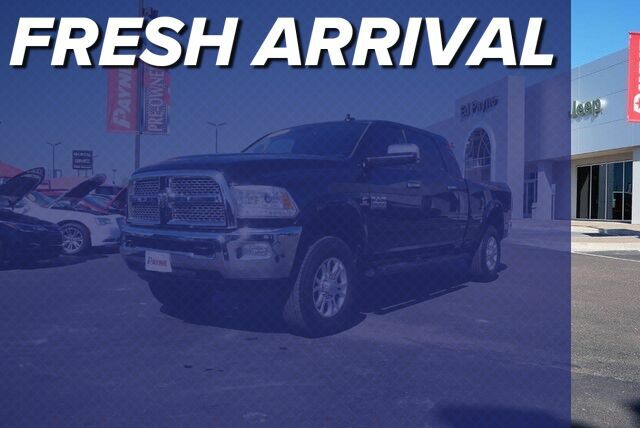 With 4WD, you can take this 2014 Ram 2500 to places roads don't go. It's all about the adventure and getting the most enjoyment out of your new ride. In addition to being well-cared for, this Ram 2500 has very low mileage making it a rare find. Ram 2500 models are intended for the most extreme personal-towing needs, while the 3500 models are aimed at heavy commercial use by ranchers or construction crews. With diesel model's 10-percent gain in fuel efficiency, as well as other maintenance-related improvements, running costs should be down versus these trucks' predecessors. Even compared to the other latest heavy-duty trucks, the Ram 2500 and 3500 HD models have some of the best-appointed, most luxurious and most attractive interiors, picking up much of the look and some of the high-line materials from the latest light-duty Ram trucks.